After two long and torturous years, I have finally found a skincare routine that works for me! Cue the Hallelujah chorus! But really, if you have problem or sensitive skin, you know the struggle. Over the course of two years, I was battling some of the worst breakouts I had ever had. I used to consider myself lucky, because all throughout middle and high school, I never had acne. Maybe a pimple here or there, but nothing to stress over. Unfortunately a couple of years after graduating, I got hit with a wave of adult acne, which left me feeling insecure and hopeless once I realized that nothing I tried worked for me! It took me two solid years of trying different products before I found a routine that worked, and since discovering my skin type and what products work and don’t work for it, and ultimately starting this routine a few months ago, I haven’t looked back. Although I know that everyone has different skin, I wanted to share my routine with ya’ll because I know how frustrating it is to have trouble with your skin and I wanted to show you what worked for me. 1. The first thing I do is use the Simple Cleansing Facial Wipes to remove any makeup. They’re easy to use and affordable. Removing your makeup at the end of the day is such an important thing to do, and even if you choose to have no skincare routine at all, you should always make sure you’re removing all of the makeup from your face before bed every night. Makeup removing and cleansing wipes are great to use as a first step, but it’s important to remember that they do not remove all makeup. 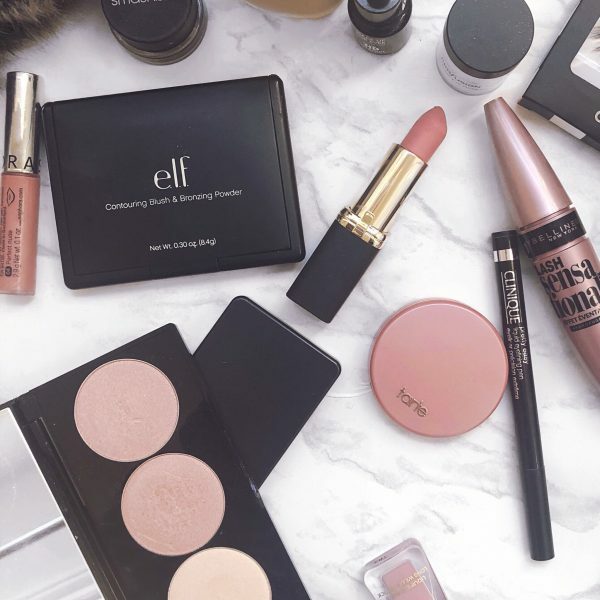 They remove some of your makeup, but they can also often just move it around, leaving makeup, dirt, and oils on your face. I am in no way saying don’t use them, (I use them every single day), but make sure you’re using a cleanser after to ensure you’re removing all makeup. 2. I’m a night shower person, so I usually take my skincare routine into the shower with me. While in the shower, and especially on days that I wear a lot of makeup, I love using the Philosophy Purity Made Simple Cleanser. I just rub it all over my face to remove some of the excess makeup that the cleansing wipes didn’t take off. This stuff is amazing because it’s good for sensitive skin and it doesn’t irritate your eyes either, so you can literally rub it around all over your face. 3. Next, I use the Clarisonic Mia, as well as the Clarisonic Refreshing Gel Cleanser to really deep clean and exfoliate. This was the real big game changer for me. Ever since I started using this a few months ago , my skin has cleared up so much and honestly, I have no idea how I was living without it. Wanna hear more of my thoughts on the Clarisonic Mia? Check out my review! 4. I try to do a face mask at least once or twice a week, but it varies. I honestly love the way masks leave my skin feeling! My favorites are the Mario Badescu Drying Mask , which targets breakouts and unclogs pores, and the Kiehl’s Rare Earth Deep Pore Cleansing Mask, which goes deep down and removes any impurities. 5. The last thing I do, and a very important step is to moisturize! I used to skip this step altogether, thinking because I had oily skin, that my skin didn’t need any more moisture. Oh boi was I wrong. In fact, moisturizing is important for all skin types, including oily skin, because it helps balance and control the natural oils your body produces. Just make sure you’re using a moisturizer that works for your skin type. I love the Mario Badescu Control Moisturizer For Oily Skin . BONUS: My big breakthrough product was the Mario Badescu Drying Cream . 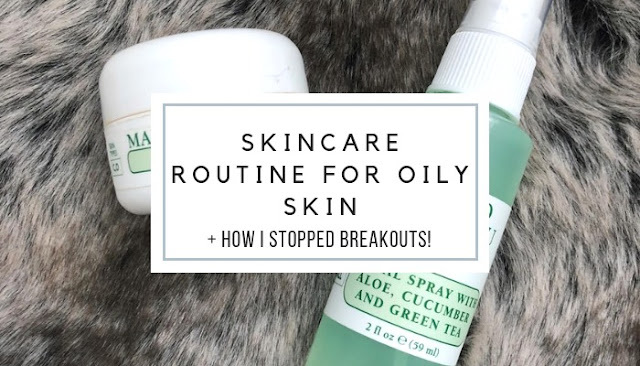 This stuff really helped me clear my skin of big, ugly breakouts basically overnight! Now whenever I get a pimple, I just dab a little on and by the morning, it’s gone! 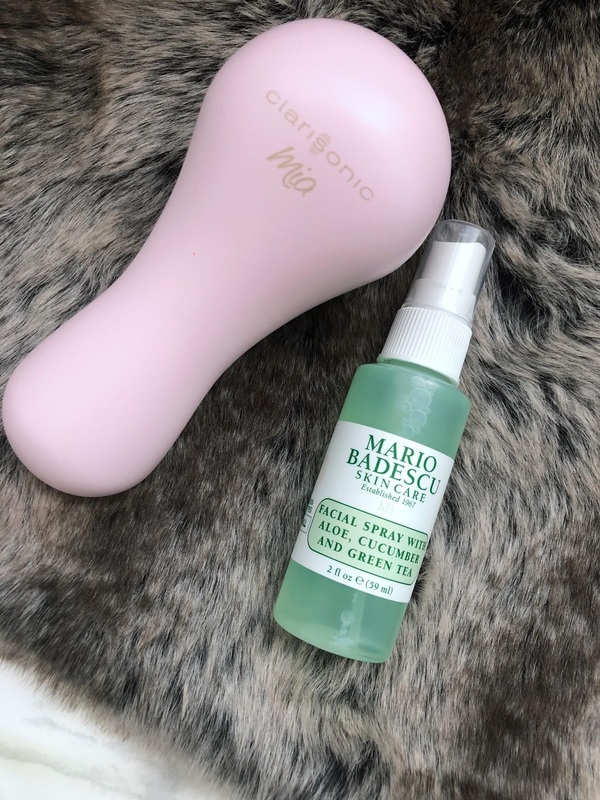 – Mario Badescu Special Cucumber Lotion, which I use as a toner. 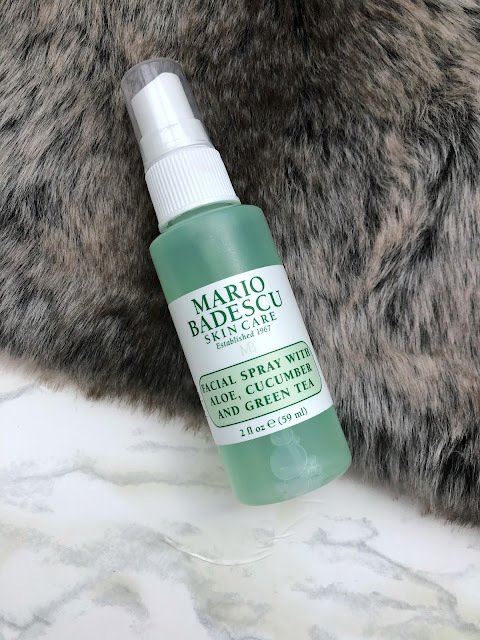 – Mario Badescu Facial Spray with Aloe, Cucumber, and Green Tea, which feels refreshing af on my face! PS: I’m going to be annoying for a second and mention how important drinking water and eating a healthy diet is for your skin. The two won’t fix your skin on their own, but they do make a huge difference, so drink yo water and eat yo fruits and vegetables. Skincare is one of the toughest things to master. 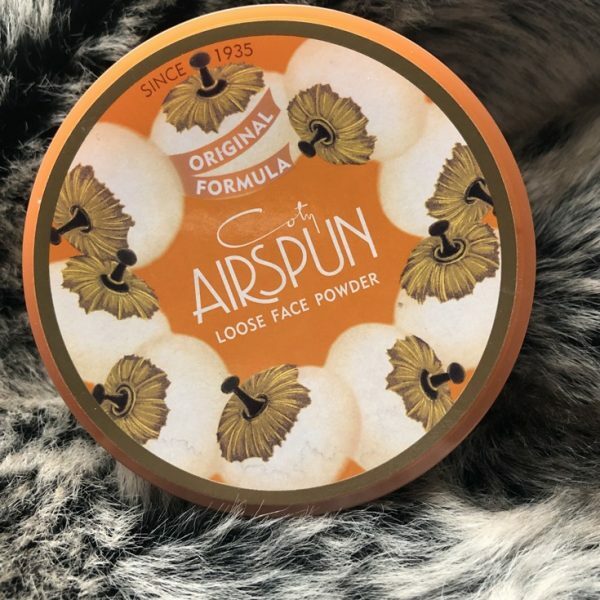 It often takes a lot of trial and error, and sometimes a product that works wonders for 99% of the population, might not work at all for you and your skin. It takes time and can be frustrating, but once you figure out what works for you, it’s very relieving. I really wanted to share my routine with you guys because I honestly can’t express how happy it’s made me to finally find products and a routine that cleared up my skin. I was dealing with some pretty bad breakouts for almost two years, and everything I had tried either didn’t work at all or made my skin so much worse! This routine is pretty basic and easy to follow and all of the products I mentioned work for oily and sensitive skin. What does your skincare routine look like? What were the products that saved your skin? Which skincare products do you hate? 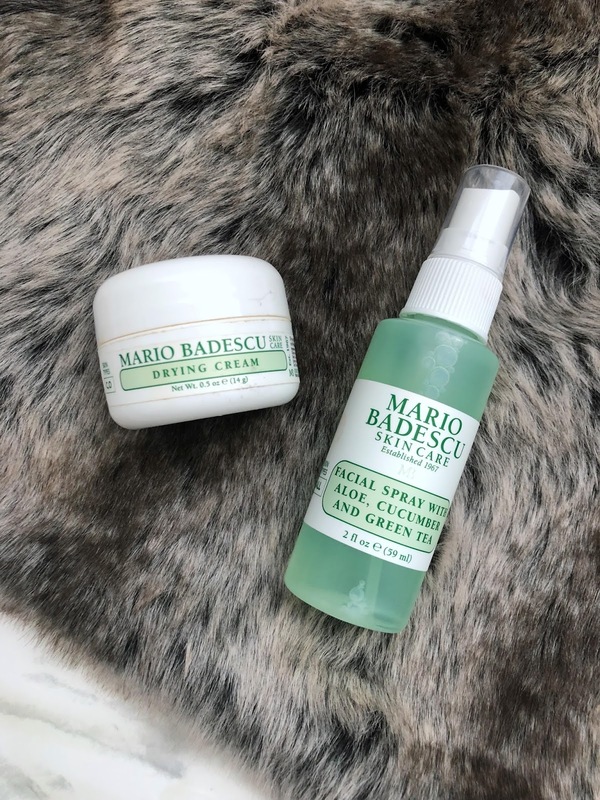 I have heard so many good reviews about Mario Badescu skin care products! Would really love to try them out soon! 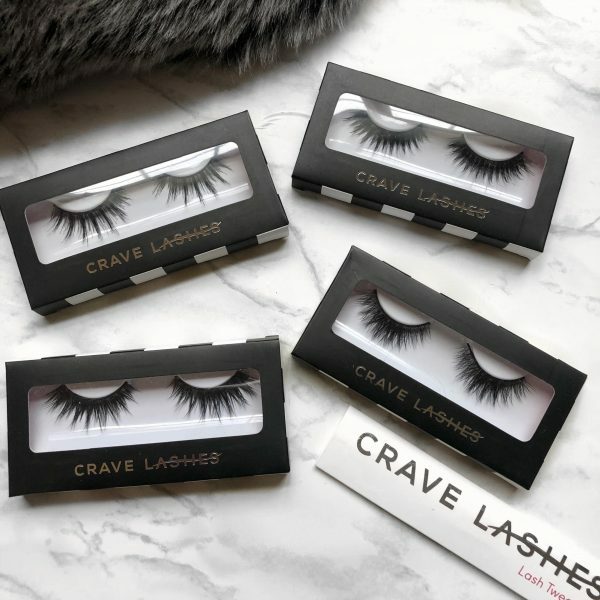 Thanks for sharing ♥️ ♥️ By any chance you are interested on doing collaborations, you can check out the collaborations portal of Phlanx.com and connect with amazing brands! I love Mario Bedescu! I've always used the pink rose water, but I really want to try green tea spray! The drying cream sounds awesome. I usually use the Mario Badescu drying lotion but I haven't tried the drying cream, I'd love to know how they compare! You've got to try them, they're amazing! Ooh I have to try out the rose water, heard it's great for the skin! I've been wanting to try out the lotion haha! I think I'll be adding it to my routine soon! 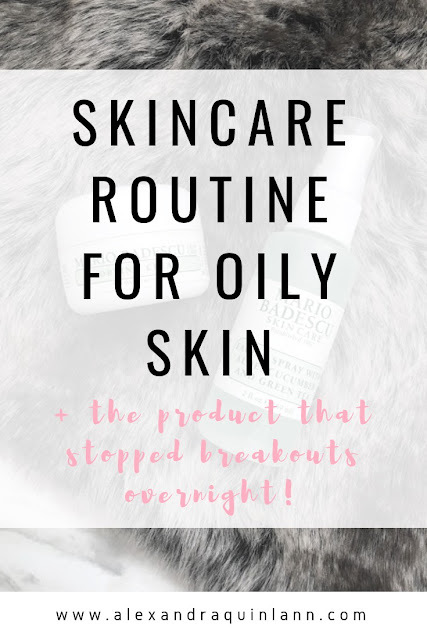 I have such oily skin and the Biore products are great, I really wanna try more Mario badescu products though as I’ve only ever used the drying lotion!